Dr. Suresh Mathews has been named chair of Samford University’s Department of Nutrition and Dietetics effective June 29, 2015. Mathews, an accomplished educator, researcher and administrator currently serves as associate professor and graduate program director for Auburn University’s Department of Nutrition, Dietetics and Hospitality Management. “Dr. Mathews possesses a distinctive passion for teaching and research that will undoubtedly benefit not only the students in the Department of Nutrition and Dietetics, but Samford University as a whole,” said Nena F. Sanders, vice provost of Samford’s College of Health Sciences. “His visionary leadership will pave the way for continued growth and new program development within the Department and I look forward to his contributions to the administrative team,” she added. Mathews is committed to scholarly excellence at both undergraduate and graduate levels. He mentors undergraduate students and has directed Master’s thesis and Ph.D. dissertation research. He is noted for his unique ability to inspire students through teaching, drawing from personal and cross-cultural experiences. He has been recognized with several teaching awards and many of the students he has mentored are working at leading institutions and top job sites. “My goal is to equip students for academic success,” said Mathews. “If students expect a high quality of education, prepare to be challenged and involved in the classroom, and study hard, success will come knocking—guaranteed,” he added. In 2014, Mathews was elected Fellow of the American College of Nutrition. He has over 80 publications, and has been funded by research grants from the American Diabetes Association, USDA National Institute of Food and Agriculture and others. He serves as a reviewer for several leading journals and funding agencies, and is an invited speaker at conferences and symposia worldwide. Mathews received his Ph.D. from the University of Madras, India in 1992 and completed postdoctoral training in obesity and diabetes at Wayne State University School of Medicine in Detroit, Michigan where he was later appointed a Research Scientist and then as Assistant Professor. 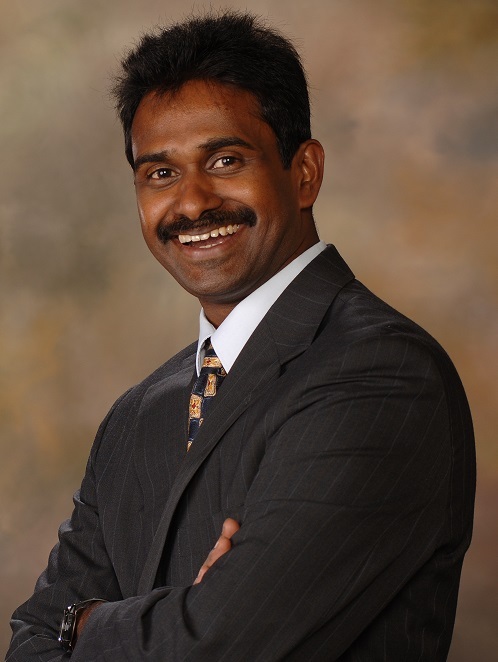 In 2005, Dr. Mathews joined the Department of Nutrition and Dietetics at Auburn University. Outside of academia, Mathews has served as the President of the Indian Cultural Association of East Alabama and the Vice-President of the Hermon Mar Thoma Church, Atlanta. He continues to coordinate Mission trips for youth and leads a small group at home. Samford’s Department of Nutrition and Dietetics has a long history of preparing exemplary graduates who use their profession to promote community health and wellness. The department currently offers undergraduate degrees in Foods and Nutrition and Nutrition and Dietetics, as well as a new Dietetic Internship program. Plans are in place to introduce additional programs at both the undergraduate and graduate levels in the near future. To learn more about the Department of Nutrition and Dietetics, please visit http://samford.edu/publichealth/nutrition-and-dietetics/.